The Thinking Child: A handbook for parents: How Literacy at home starts with scribbling and drawing - The Drawing/Writing Program: Find out about neurobeneficial parenting: parenting that's good for young, growing brains. Available as a free download from this web site. A hard copy of this booklet can also be ordered from Dr. Sheridan for $10 by email to susan.sheridan9@gmail.com, or by using the address found here to order this MarksandMind publication. 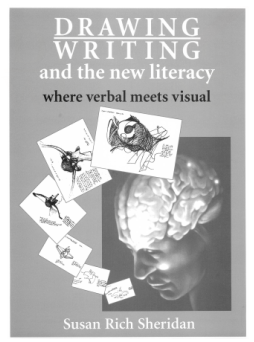 Volume I: Drawing/Writing and the new literacy: where verbal meets visual. ​This textbook/handbook for teachers and for schools of education provides theory and hands-on practice including a series of carefully organized lesson plans for teachers across grade and discipline who are interested in a broader approach to literacy. The 500-page book is illustrated with student work across grade and field grades K-12, as well as at the college level, and at the Elderhostel level. The book is divided into four parts. The first part, "The Reasons Why," provides the rationale for a new theory of education called neuroconstructivism * (Sheridan, 1990) and a new literacy strategy across content areas called Drawing/Writing. The rationale is from a combination of sources: art history, psychology, children’s drawings, the history of writing, and, most compellingly, neurobiology. The second part of the book, "How to Do It," lays out the five-step Drawing/Writing program step by step while providing supplementary information, especially in connection with geometry, or the study of shapes in space. An ethics component is included in connection with abstract drawing using two new concepts: Acceptable Differences and Right Relationships. The third part of the book -“Hitchhikers’ Guide to Brain Science” - offers information on brain structure and function, including 13 tips for teachers and parents and students on how to encourage and enhance brain development. This section includes a heightened-experience approach to school-based drug education programs. The fourth part of the book outlines a generally applicable cross-modal approach to curricula called “The Thinking Child: A Thumbnail Sketch for Teachers and Educators.” This section includes detailed, illustrated cross-modal English and Fine Arts curricula appropriate K-12 as well as at the college level. Click here for this book's full page. 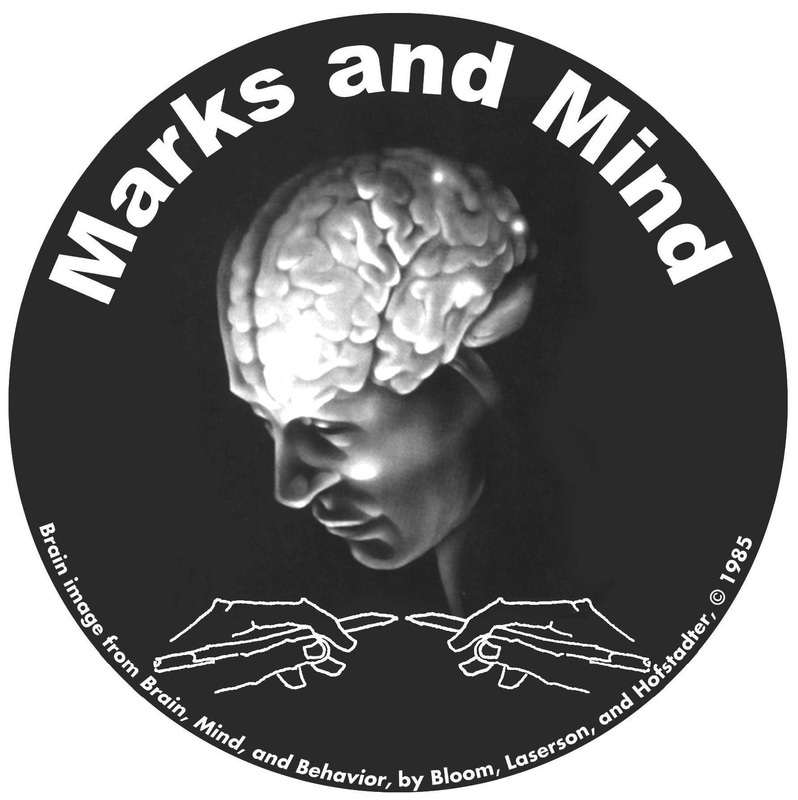 Volume III: HandMade Marks shows parents, including homeschoolers, how to develop attention, emotional connection/control, speech and literacy in children using scribbling and drawing. Exercises, developmental benchmarks, evaluation tools, and research questions included. (ISBN-10: 0741457695; ISBN-13: 978-0741457691) Handmade Marks may be purchased: Amazon's author site​ | Click here for this book's full page. Volume IV: The Scribble Hypothesis: Marks Change Minds. Research Supporting a Neuroscience of Parenting/Caregiving in Early Childhood with a focus on shared interactions around scribbling, drawing, speech and writing. Pricing and ordering information will be announced soon. Volume V: Preserving Literacy: how to use drawing and writing to protect our thinking skills as we grow older. Pricing and ordering information will be announced soon.